There are so many people you will meet in your lifetime. Some will certainly stand out more than others. It may be the time you met the person you were going to marry, or a time when someone had an impact on your life. But what about the time you met Jesus? To those who are saved, this is the moment that changed their lives forever. Eternity was determined, the direction they were heading changed and change all the desires of their hearts. Have you met Jesus? When we think of Dr. Charles Keen, we think of so many things. The bibles, First Bible International, and all the places in the world where people do not have bibles in their hands. The Lord has led him to so many places to get Bibles to so many people. It was such a blessing to worship the Lord with Dr. Charles Keen this morning at Fairview. It's always something so special about hearing the story of Christmas. We don't know much about the wise men, but can you imagine what it was like when they came to visit the baby Jesus? They caused a great stir, but not much else is known. They came to worship with gifts and the Spirit of God called them Wise Men. The wise men were anxious to follow and available for leadership. God had a plan for them and God has a plan for all of us, but are we wise enough to realize what God has planned for us? Are we wise, are we available, do we see our place? Are we wise enough to go on beyond our salvation experience? In life there are things we need to learn. If we’re honest, our prayer life struggles. The time, fervency and desire to pray is weak. If we want to get in God's presence and have God use us, we have to learn to pray. Even the disciples asked Christ’s to teach them to pray. There is a difference in saying prayers and praying. Praying is a relationship with God and communication with God . We need to ask ourselves "how do we pray? The Lord himself taught the deciples to pray and the pattern to pray. The Lord’s Prayer is a model prayer to teach us a pattern to pray. Do not always ask, but remember to thank God for all he’s done. Give joy, praise, honor and glory to God who saved us. Pray with a purpose. He wants to involve us. As Christians live in the present and pray in the present. So often we focus on future and what’s ahead, but we don’t need to think about tomorrow. He wants to pardon us: God forgive me. Forgiveness will restore relations with God. We can't live and walk in sin and not feel conviction and get our hearts and minds back on the Lord. Ask for guidance. Praying to God, who is holy, sacred and in heaven, wants to meet our needs. Once we understand the potential of prayer. We can’t understand, just how much more God desires for us! Fairview welcomed Scott Pauley to lead our worship services today and what a joy was to have this evangelist. It's always exciting to see what God has in store for the day. Have you ever thought about how you will be remembered when you're gone? We must choose not at the end, but today. What will your children, family and friends say about you? The only thing that matters is what God has to say about you. Are we walking by sight or by faith? Salvation is where it beings but we must have a life lived by faith. Stop putting off what God is telling you to do today. Learn to listen to the Holy Spirit, live by HIs word today and keep a tender heart. What will God's eternal epitaph say about you? 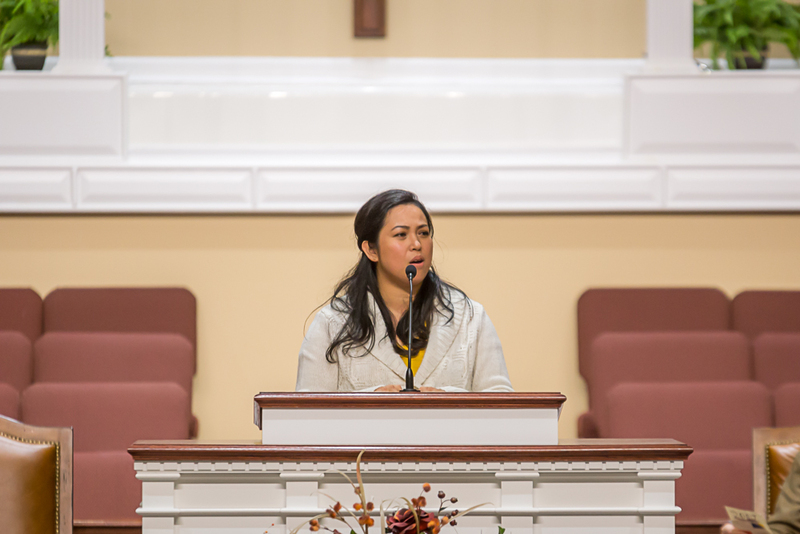 The month of October, Fairview has been focused on spreading the gospel to the world. Each day there are millions who never hear the gospel truth of Jesus Christ. Each day there are millions who die. Some with spend eternity in heaven while so many others will spend eternity in hell. Hell is certainly not a popular subject, but hell is a literal place. Whatever heaven is, hell is the complete opposite. A place of agony and fire. An awful place and disbelief in hell doesn't put out its fires. Hell is a horrendous thing to talk about and too terrible for words to describe. But hell is real. Nobody goes to hell who doesn't belong there. But there is always hope in Jesus Christ. Jesus said "come to me". Are we doing enough to get the gospel of Jesus to others? Everybody has eternal life and an eternal destination. Where will you be? Fairview wrapped up our 2017 missions conference tonight. Each night learning about the families, getting to know them and seeing how excited they are to get out and do God's work has truly been a blessing. Please continually pray for these and all missionaries as they spread the gospel of Jesus Christ. It's the first day of October and we begin with a new theme. We're talking about building and expanding our worldwide missions. We encourage every one to reach out to their neighbors and others to spread the gospel. 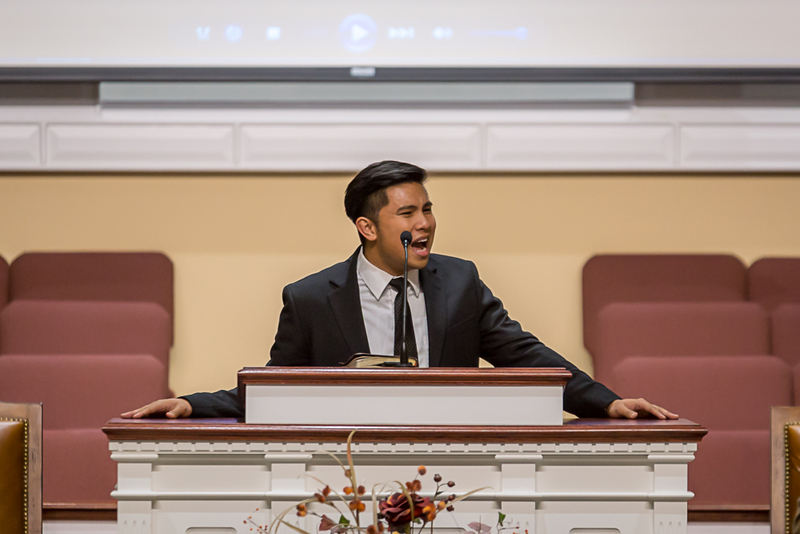 October 22nd begins our annual missions conference and we looking forward to that special time! As we go thru life, we need to think about our attitudes and the things we are saying and doing. We need to get things back in line and the way we look at things. Sometimes because of our clouded judgments, we begin to get a negative attitude, and God wants us to change that! Life is full of problems. We are either going in, going through or coming out of a problem. It's just the truth of life. What is it that will bring us out of our problems and thank God for what He is doing in our lives? Anyone may be in a severe situation where they are overwhelmed, desperate and hopeless. But when we just don't know what to do and every one has turned their back against us, we must turn ourselves to God! There is no one in your life that will solve your problems except God. We must turn our problems into prayer. God is love and no matter the difficulty, God doesn't change. The best time to take our problems to the Lord is anytime and lay our burdens at His feet. When God is all we have, God is all we need. Today Fairview Baptist Church honors Pastor Scallions and Miss Paulette for their 44 years of faithfulness to the Lord and Fairview Baptist Church. We are thankful for these years of service and dedication to doing God's work. We were also blessed with a message from Dr. Charles Walker on pursuing Godliness. We can take a Godly approach to everything in life. The gift of salvation and eternal life isn't something we have to work for. But, to have a heart and mind like God, we must work on our prayer life and Bible studies. If we want to know the mind of God, we must give time to it and grow in the Lord. God wants us to know all we can about Him, so lets exercise our Godliness. 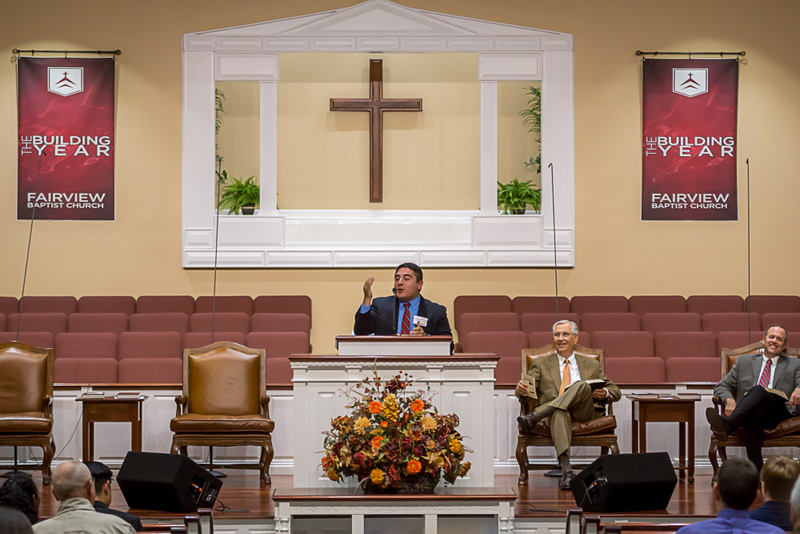 Over the month of August we were so blessed with all the guest speakers and guests visiting Fairview Baptist Church. Different preachers have different ways of getting the message out, but the message is always the same! We give God the praise and glory for the lives that were changed. We are also glad to be back to regular Sunday school services as well as Children's Church and Children's Sunday school. For the 44th time, Pastor Scallions spoke of building the walls. God has done so much wonderful work over this time. The greatest lesson any individual has to learn in life is walking daily with the will of God. Life is made up of individual steps and each step can be altered by the Lord. We all have opportunities in the little things and life is a combination of a mass of these little things. Once we lay brick upon brick, we can look back and see the walls that have been built and are still being built. There is still a need for Godly people, Godly churches and missions. Around the world, Satan wants to destroy the things we hold dear. Prayer is also something each of us must consider in our own lives. Sin in the lives and heart's of God's people can put a stop to the building of the walls. The problem with a lot of us, we've become so comfortable, we don't want anything to shake us from our nests. But our own matter of Christ has to be done personally. The tasks that God has for us must be a personal tasks. Where God guides, He always provides. God will meet the need and work in each situation. There is a time in a leaders life when we pass that leadership to others. It's a combined effort and everyone has a part. We all have a responsibility to give the gospel to the world. Some don't want their lives disrupted to put the work forth for God. But it doesn't happen on it's own, it takes a group effort. We shouldn't get caught up in things of this world that won't matter, but the work towards eternity. Opposition will come, but the Christian life is building and battling. It doesn't matter if it's a family or a home, all the forces of Satan will come against us. But when we are doing the work of Christ, we are doing some of the greatest work in the world. Don't look for excuses to get out of the work for God, just do the work of God. Let's stay at the tasks and build the walls.